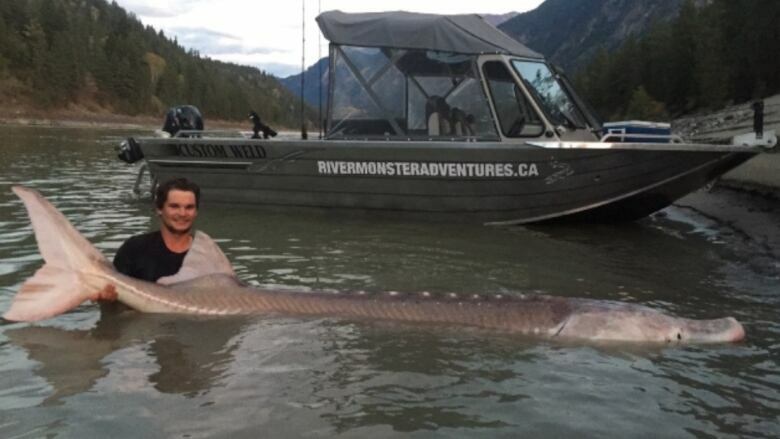 The sturgeon is 10 feet long and up to 90 years old. Nick McCabe says Pig Nose is a "special" fish — which is hardly a surprise, considering they're practically old pals at this point. 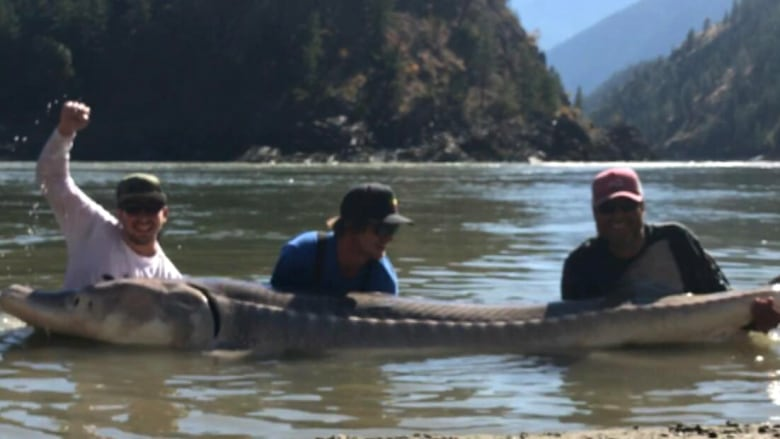 The fishing tour guide caught the 700-pound, 10-foot-long sturgeon on the Fraser River, near Lillooet, for the second year in a row on Thursday. McCabe caught him in the same place in August 2016. 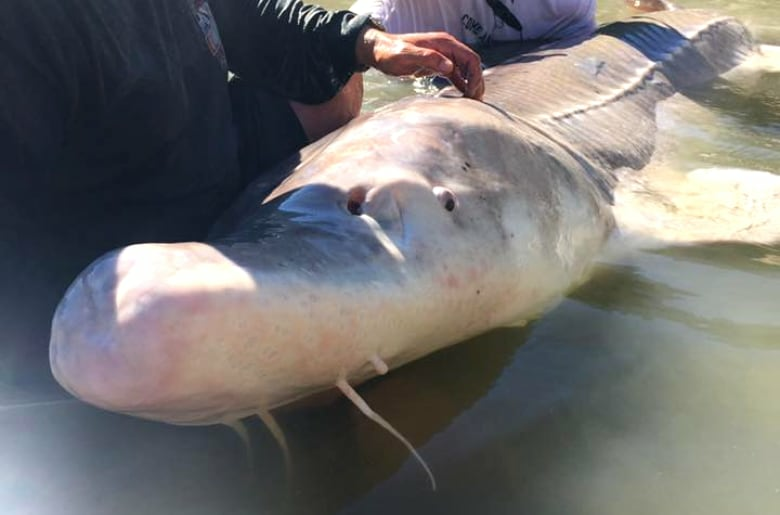 "He might not be the largest fish in the river, but it's a very special fish for us," the 20-year-old said. The River Monster Adventures guide said it took about an hour for him and his Texan clients to reel in the fish this time around — leaving plenty of time to develop a hunch. "I had a gut feeling it was him," he said. "Just the time of year and how the fish was acting ... but as we got it up to the shore I was like, 'This guy looks pretty familiar.'" Pig Nose was tagged with a microchip years ago so he can be identified. The white sturgeon, who's likely between 80 and 90 years old, is named for his squished-up snout. "It's like one of the injuries on old fish. He's been through both world wars. He's really old," McCabe said. "He's still putting weight on," the catch-and-release guide added. "So that's cool to see." As for whether or not he'll shoot to catch Pig Nose again next year, McCabe said he's not one to make plans. "That's one of the things I love about this fishery. You never know what you're gonna get."